Min. 3-4 yrs experience in UI Test Automation. Strong knowledge in core development and design of automation framework for Web-UI applications using python. Extensive Knowledge on Python Programming, OOPs concepts, Selenium. Wide Exposure to different Web-UI automation tools. Hands-on experience of UI Application testing [REST based]. Good understanding of IP Networks or Optics. 1-3 years of experience in Manual Testing of Web and Windows-Based Applications. Working knowledge of websites is a must. 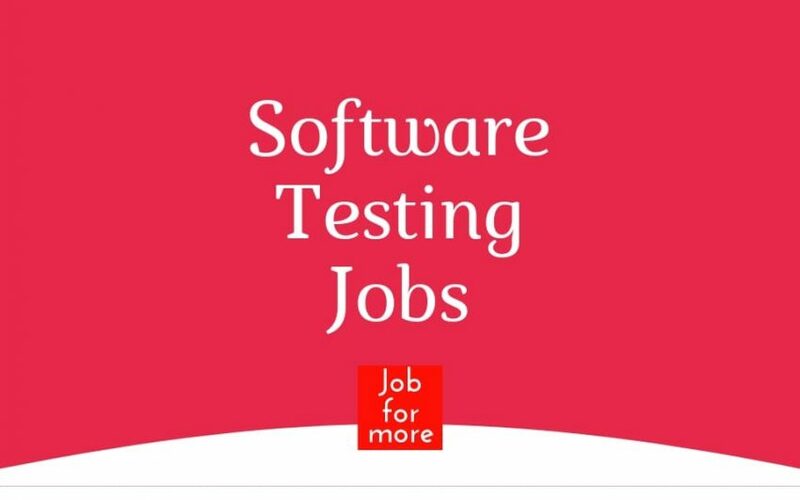 Strong expertise on developing UI & middleware, Integration skills(Web Services, JMS, CRM Integrations), Message Brokers(RabbitMQ, Kafka), Persistence(Hibernate, PL/SQL), Reporting(Jasper & others). Database(Oracle, MSSQL, MYSQL), App Servers(Tomcat, WebSphere etc). Experience with Design Patterns and Microservices (SpringBoot). Strong experience in Linux & Windows. Programming Java/J2EE, HTML, CSS, Java Scripts, Python, SOAP/REST API. Core Data Networking and Network Management. Description: You ‘ll deliver everything from point solutions for a single business function to large, long-term outsourcing services, to complex systems integration installations spanning multiple businesses and functions. You ll create custom-designed solutions or integrate our technology platforms with their operations. Automated Testing, Core Java EE Design Patterns, Webservices Testing. Design Develop and configure software systems to meet client requirements. Perform Unit Testing and required QA process to test the software component. Should work on application development projects and have the waterfall and agile sdld development experience. Apply knowledge of technology, application, methodologies, process, and tools to support client requirements. Should help the client in value-added activities by introducing automation as needed and deliver the same. Resource should have minimum 3 yrs of hands-on experience in Automation Testing in Selenium. Resource should have Proficiency in Java. This is Britain from CBSI India Pvt. Ltd, Bangalore and we have an urgent openings for our Estemeed Client. We have an excellent job opening in your domain of work. Should have strong experience in Core concepts of Java, Spring Hibernate, Struts. Should be open to learning new technologies. Experience in Linux System Administration (Certification on RHEL). AWS certification in Sys Ops and/ or professional. Good experience in RHEL 6. x, Mazon Linux. Experience in DevOps, specifically managing AWS Infrastructures such as EC2s, RDS, Elastic Cache, S3, IAM, cloud trail and other services provided by AWS. Experience in Database Administration with relevant certification. Experience in executing all DevOps processes and procedures. Experience with AWS and Cloud technologies is a must. Looking for Application Environment Specialist with multiple Ingenium Implementation experience. Extensive knowledge in WebSphere Application Server, JBoss Application Server, Python/ Jython, Shell scripting (Windows/ AIX), WebSphere MQ, DB2, Basic System administration of Windows/ AIX, Mainframes. Basic understanding of Java/ J2EE, installation/ configuration of various third-party software. Experience in deployment of a fully automated CI/ CD pipeline using Jira, Bitbucket, Bamboo/ Jenkins, Nginx, Nexus (Nice to have). Delivery Senior Software Engineer with the skill set in Python development & RESTful API endpoints. In-depth knowledge of Python Programming Language. Skilled in creating a web application using framework Django. Technologies AngularJS, HTML5, CSS for the web frontend. Experienced working in Linux terminal. Looking for Core Java Developer.